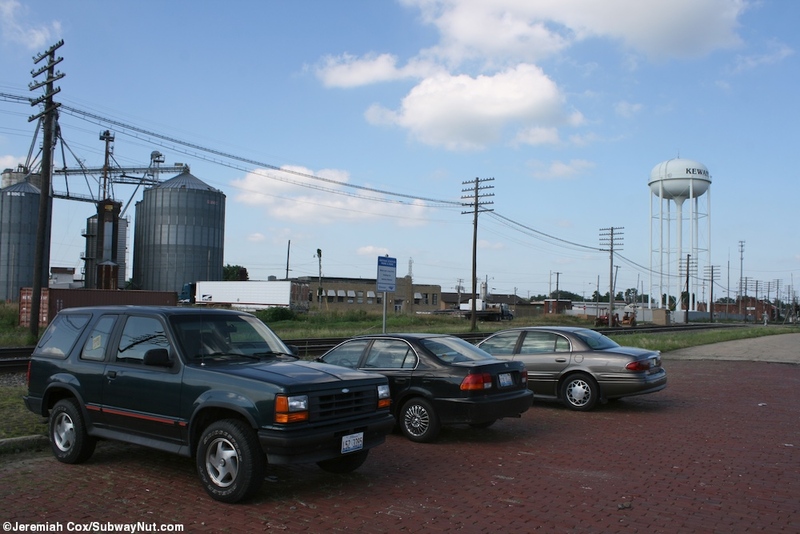 Kewanee, IL is a small town in Western Illinois that is served by the Illinois Zephyr and Carl Sandburg, the two trains a day on the Chicago to Qunicy corridor. 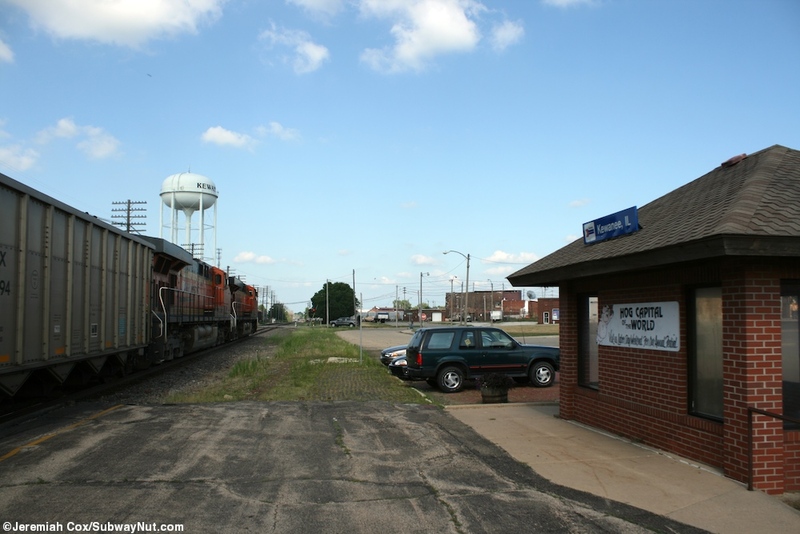 The stop is before Galesburg when the Southwest Chief and California Zephyr split off this line but those two trains presently scream by this town that calls itself the Hog Capital of the World without stopping. 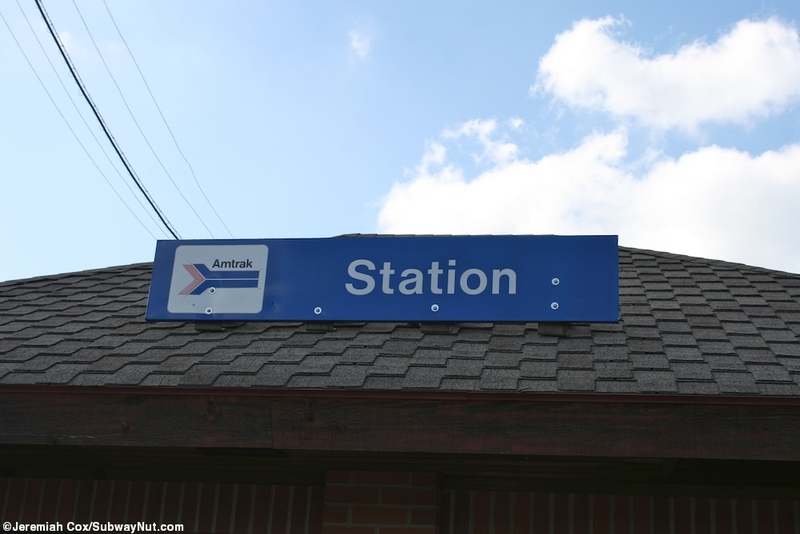 The station has been served since by Amtrak since virtually the beginning with the July 1971 timetable when the City of San Francisco began stopping. 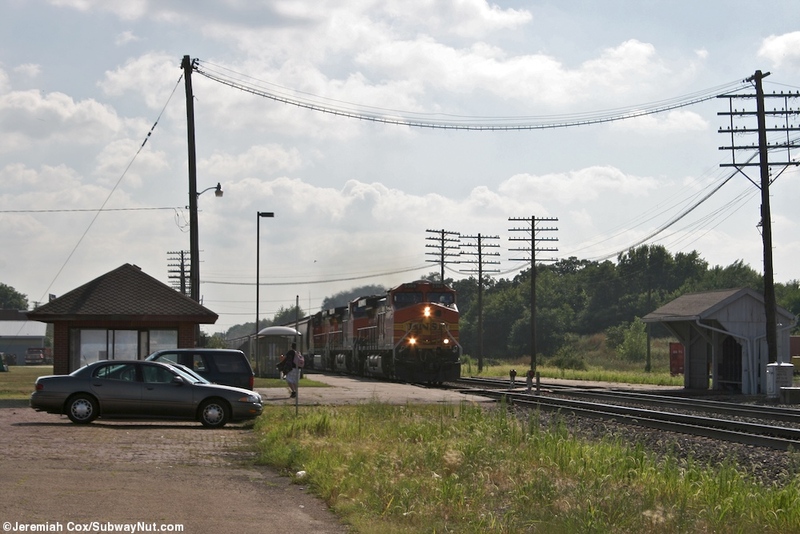 This train was supplemented by the State-supported Illinois Zephyr beginning in November of 1971. 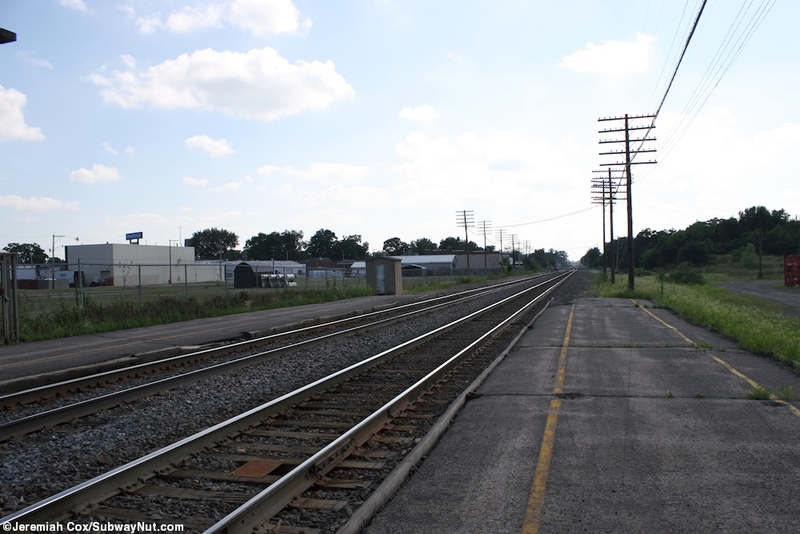 By 1973 the now named San Francisco Zephyr (and today's California Zephyr) had discontinued its stop at the station leaving just the Illinois Zephyr. 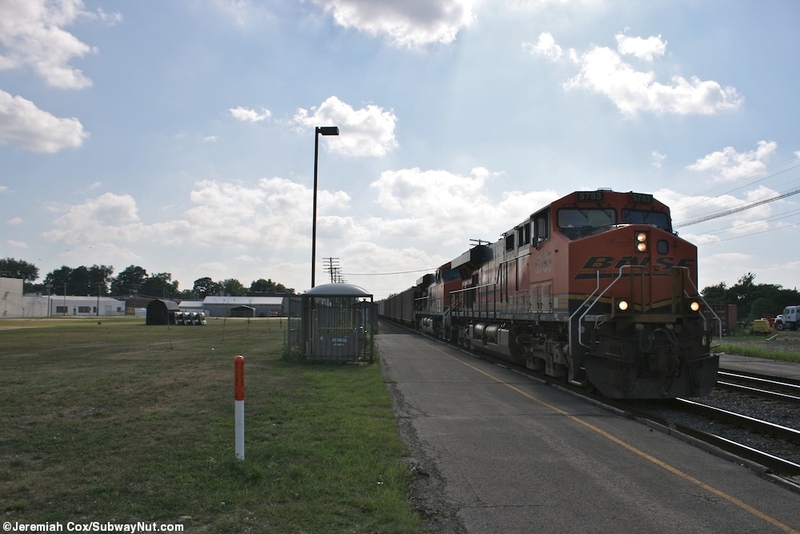 It took until October 30, 2006 for Kewanee to get a second daily train in the Carl Sandburg when Illinois funded a second Chicago to Quincy round-trip. 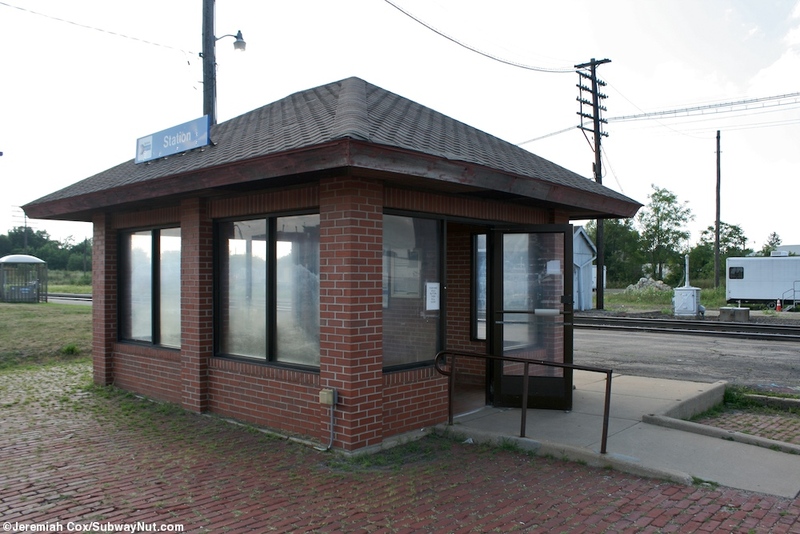 The station is listed unstaffed by 1974 and the historic Chicago, Burlington and Quincy Station was demolished by the BN in 1985 leaving today's small brick shelter in its wake. 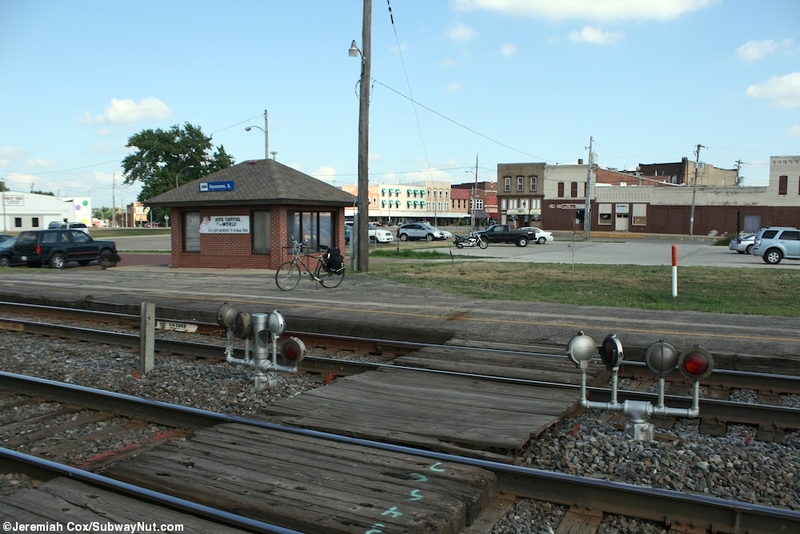 The station consists of two platforms on the two track line with a fully belled and lighted grade crossing connecting the two. 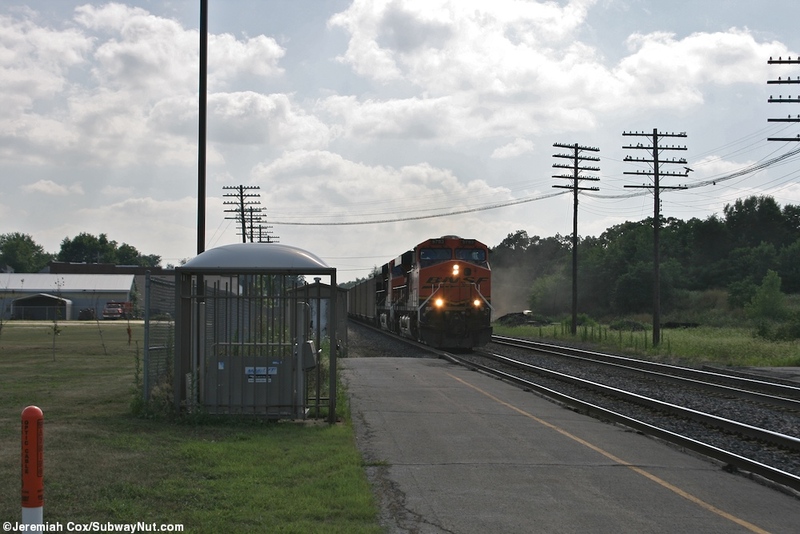 There is no notification of which track the next train will come in on so waiting passengers must wait to see the headlights and dart across the tracks if necessary. 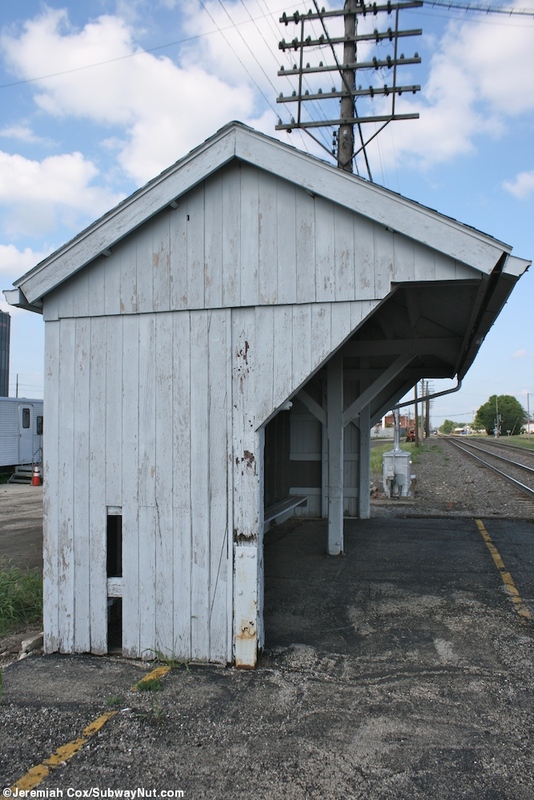 The platform on the track (if right hand running is in use) away from Chicago has an old wooden shelter while the opposite platform has a small enclosed shelter with a single bench inside it and an information board with the train schedule on it and other information posters. 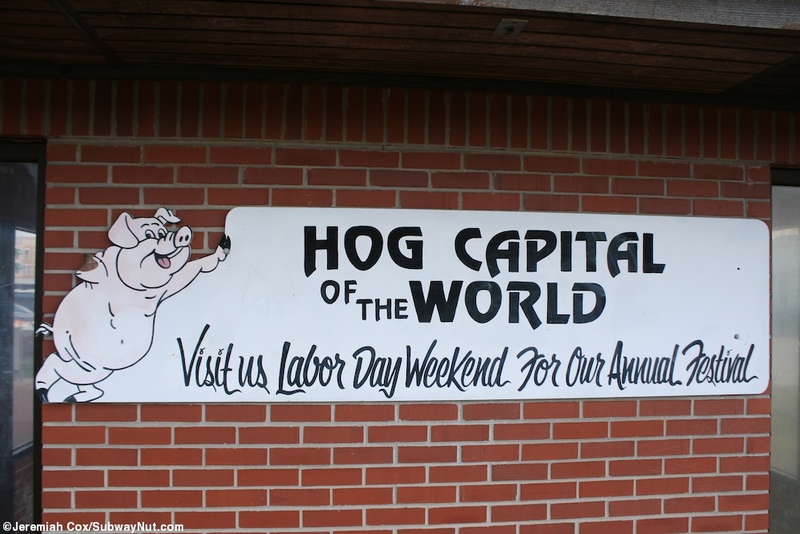 It has an old pointless arrow Amtrak Kewanee name sign and another one claiming the town as the 'Hog Capital of the World' and to come back at Labor Day when the town has its annual festival. 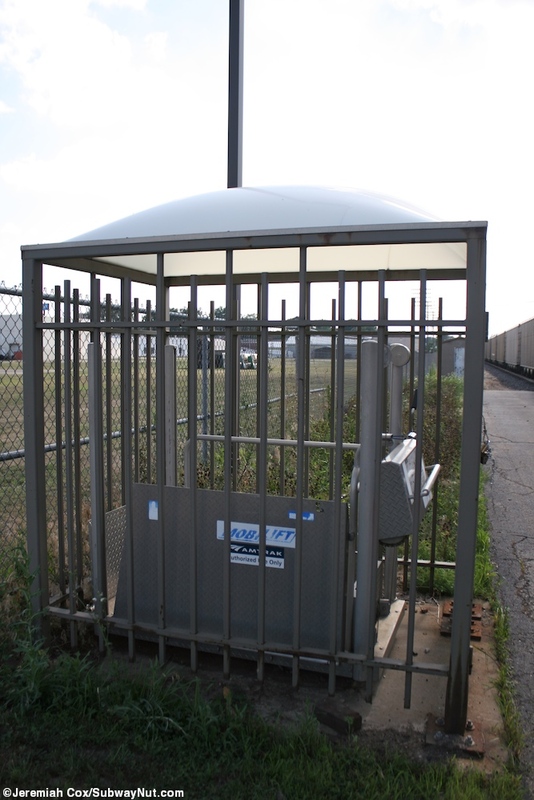 There is a fenced off shelter with the now ADA required wheelchair lift inside. 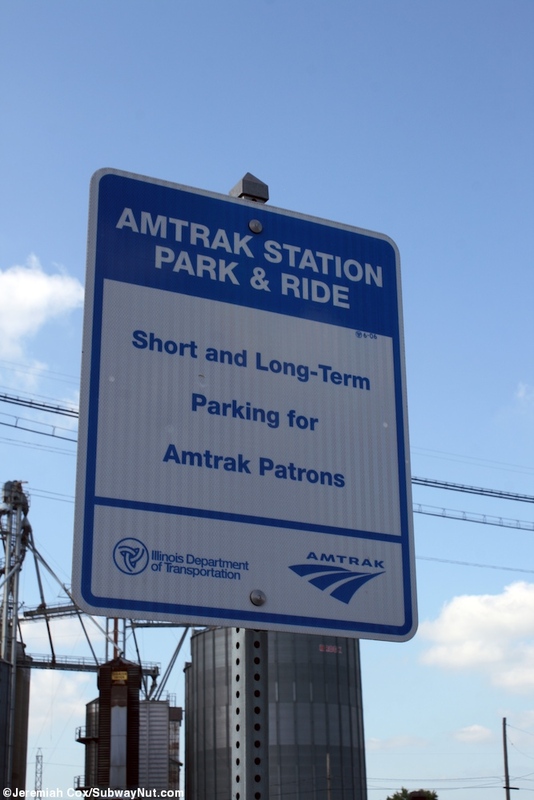 Attached is a small parking lot with a sign on it that says Amtrak Park & Ride Short Term and Long Term Parking, with the new Amtrak logo and an Illinois DOT logo beneath it. 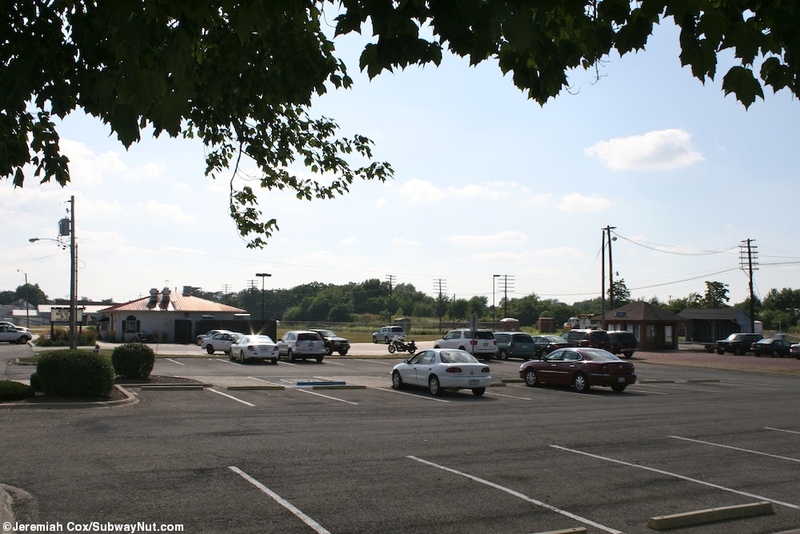 This parking lot continues beyond the station section for the Station House Restaurant serving a typical American selection of Steaks and the like with the station's timetable printed on the back of the menu and where the staff let me wait a little longer for the train after I finished my meal. 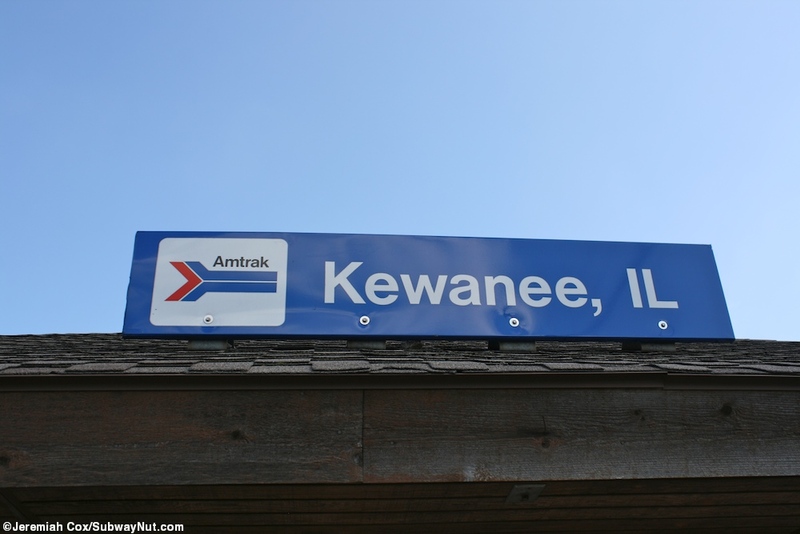 April 13, 2012 Update: A new train station has been dedicated for Kewanee. 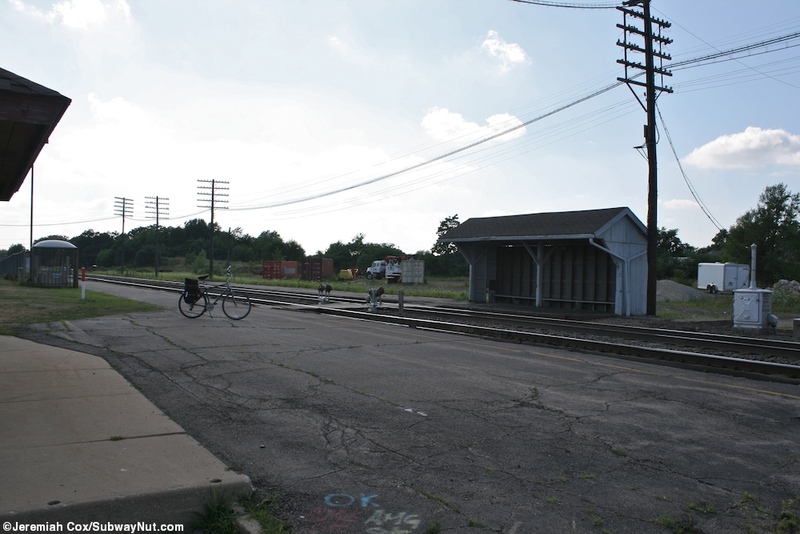 I returned almost exactly a year later on July 29 to find a small and extremely modern brand new station house. 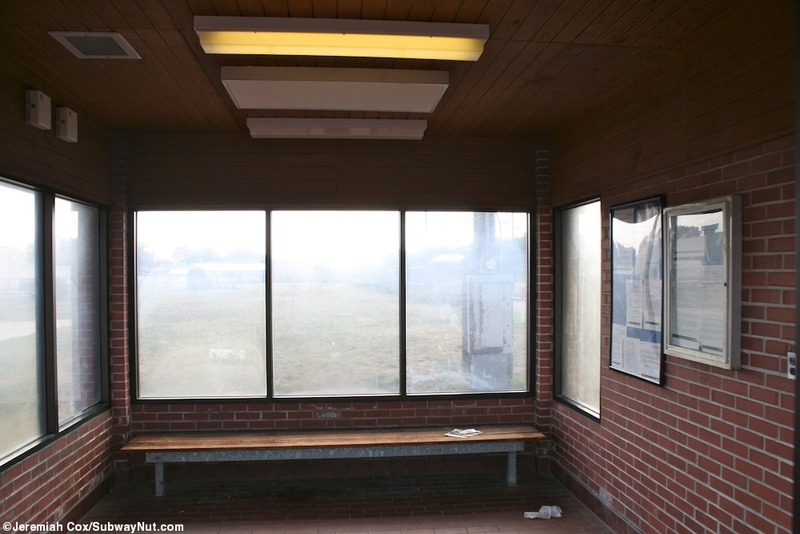 Large glass windows surround a waiting room containing 6 benches with theater style seating out to the platform area. It is open daily from 8:00am to 9:00pm. There are also nice clean bathrooms and a small office housing the county chamber of commerce. 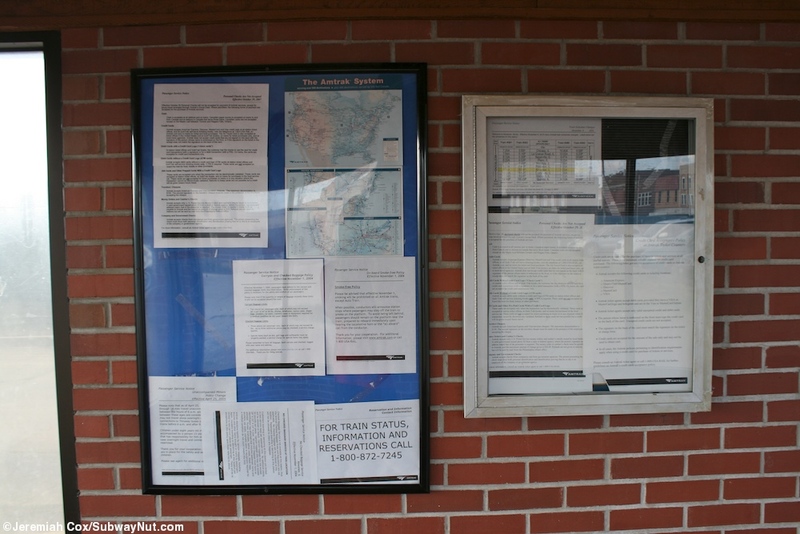 Brochure racks dole out tourism and Amtrak information. The one wall of the building (out to the street) which isn't glass has large neon letters spelling out Kewanee. Strangely the platforms weren't touched at all and are exactly the same. 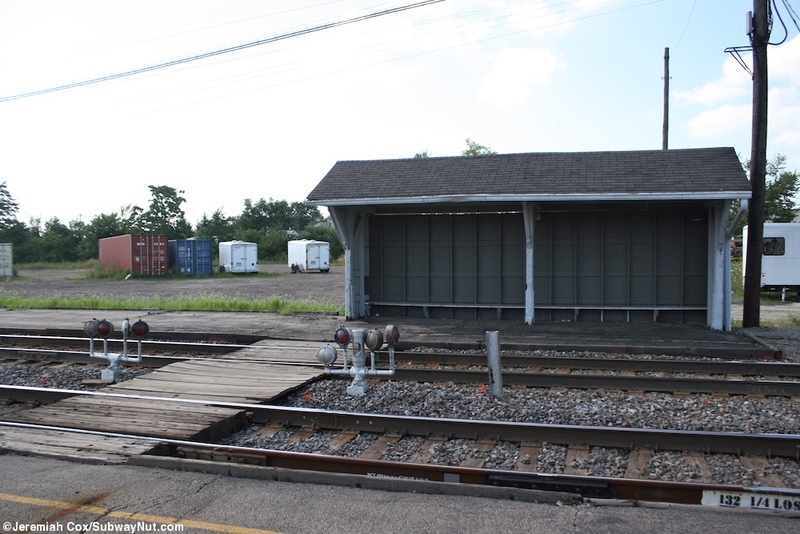 This is because they are Amtrak's responsibility and not the city and county which built the new modern depot. The signage that was originally on the little shelter (like Hog Capital of the World) is gone.